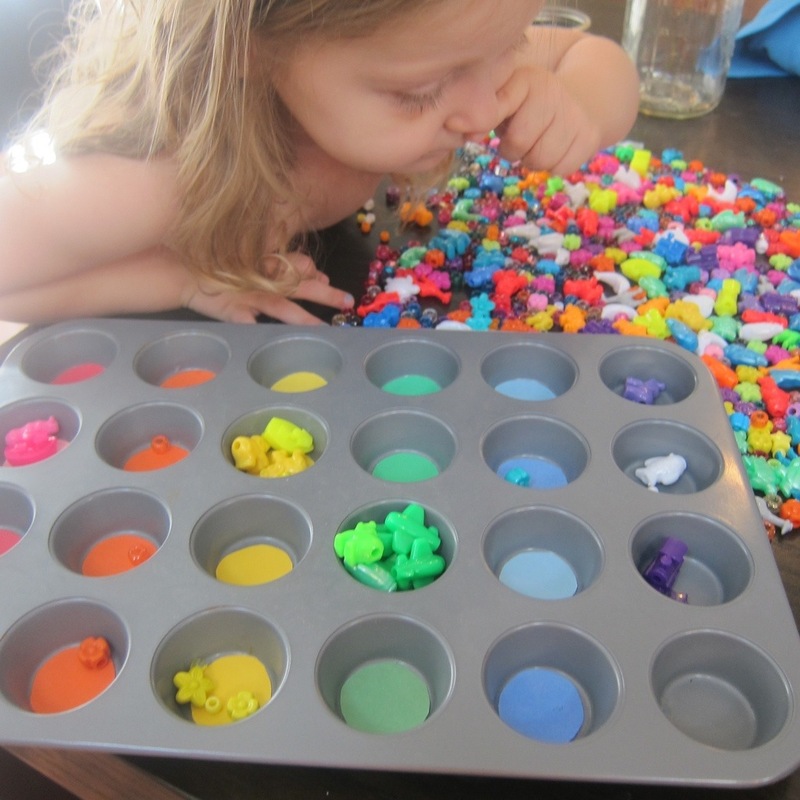 Evie has always loved sorting and organizing things so I decided to make a color matching game for her out of a mini muffin tin. I cut out different colored circles and attached them to the bottom of the cups with double stick tape. I gave each row it’s own color, except for red I alternated with pink. We’ve used this for different things, but the other day I pulled it out when we were playing with beads. 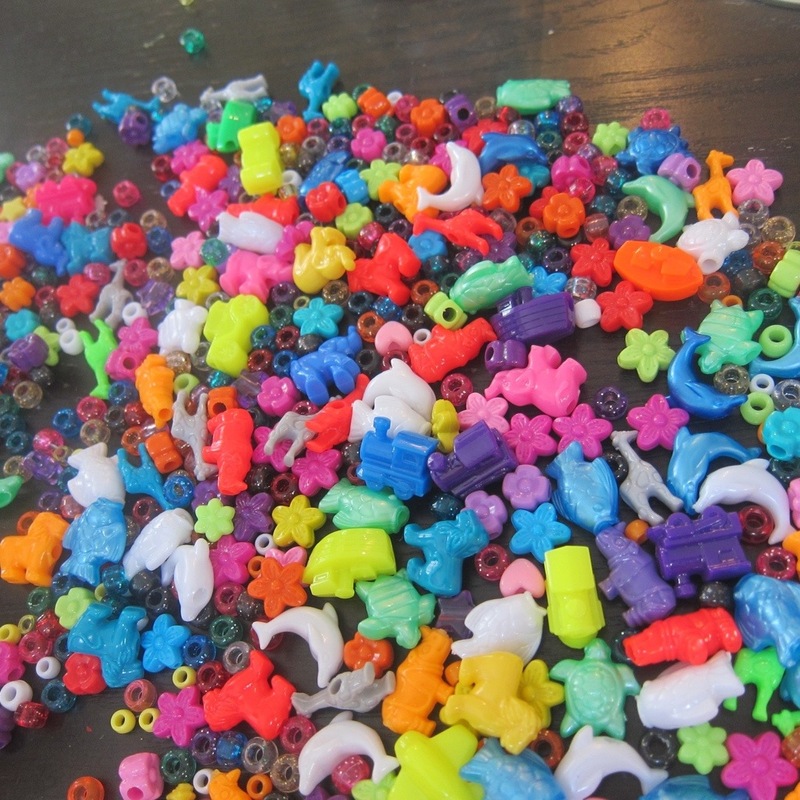 Evie has an overabundance of beads – glittery pony beads, ones shaped like flowers and stars. 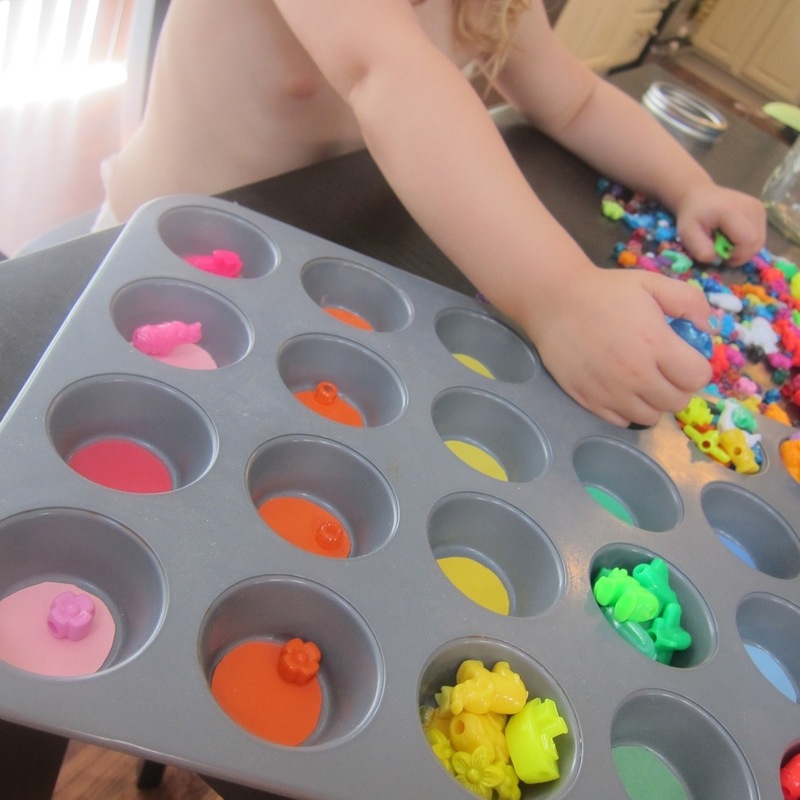 They were the perfect size for the muffin tin and sorting them kept her very busy. 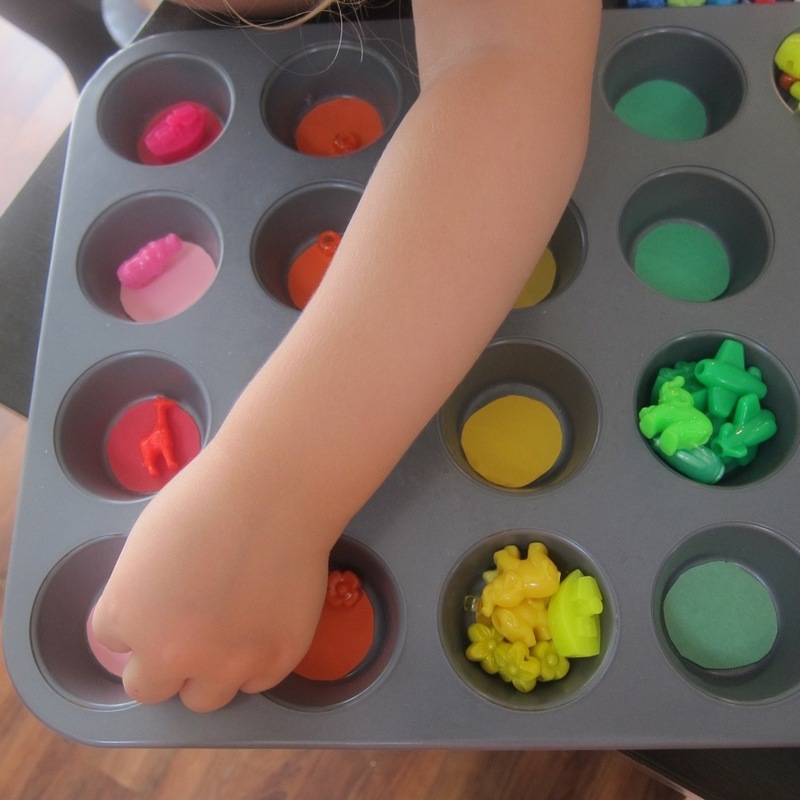 We’ve also used tongs and puff balls with the muffin tin, and I’m sure we will figure out even more ways to play in the future!